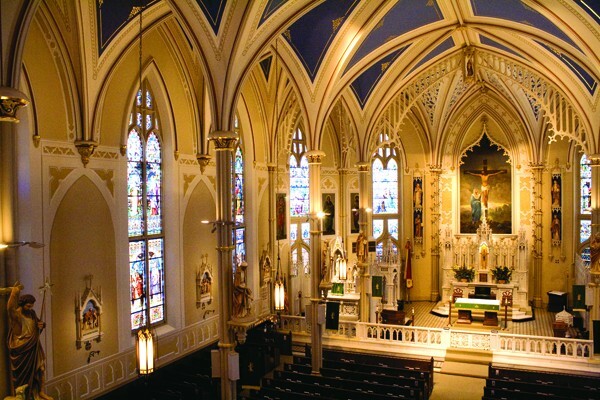 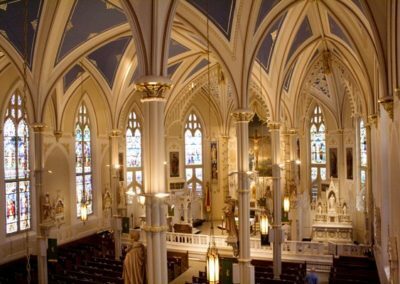 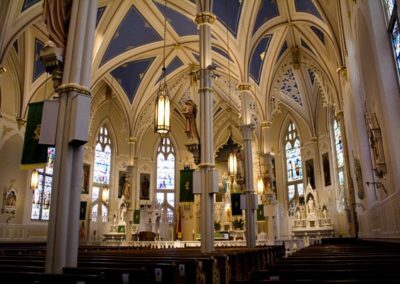 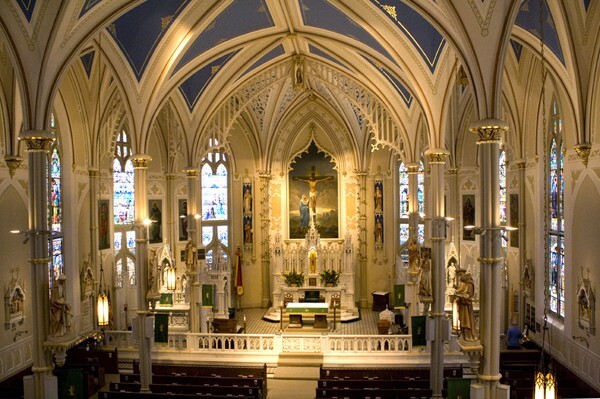 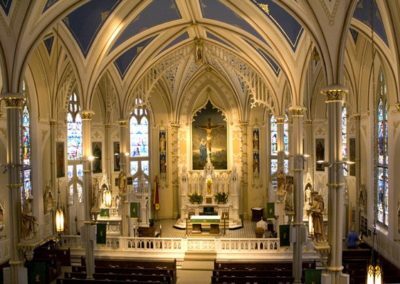 After a devastating tornado moved through St. Mary Basilica in Natchez, Mississippi, Conrad Schmitt Studios accepted the challenge not only to repair the damages, but also restore areas that were deteriorated from the natural aging process before the storm forced restorative action. 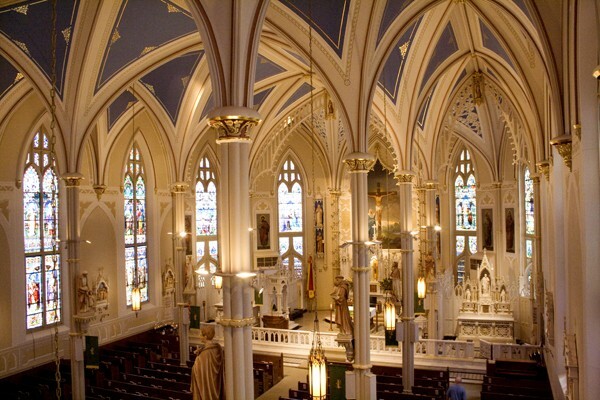 Conrad Schmitt Studios worked with architect David Waggonner, III of Waggonner & Ball Architects on an investigative study to uncover the original paint treatments, techniques, and architectural elements in this Catholic Church that were damaged by the tornado. 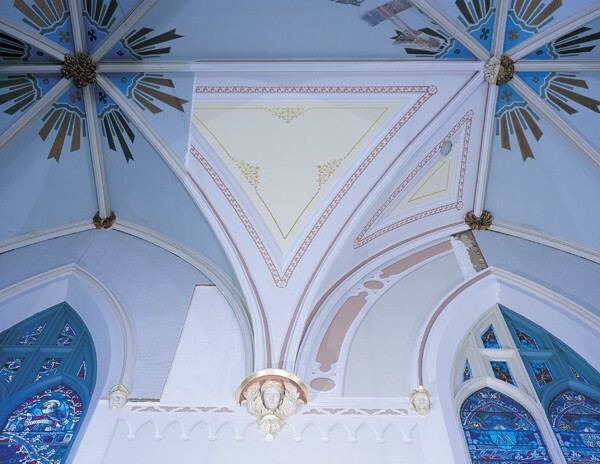 Studio artists used these findings to create a decorative sample onsite. 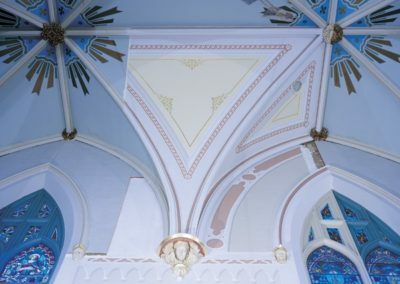 After presenting the sample to the committee, it was unanimously decided to commence a decorative restoration, sympathetic to the original stencils and design work. 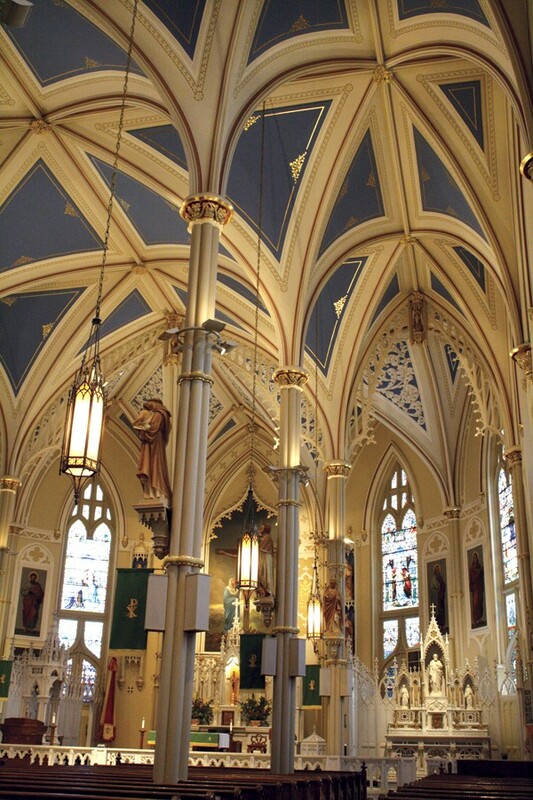 CSS used the finest techniques to repair plaster and treat cracks with fiberglass. 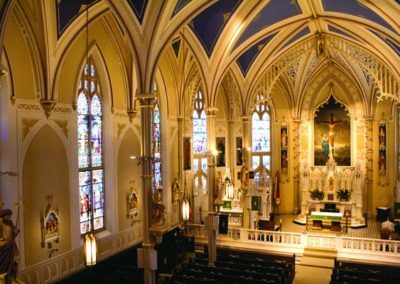 Artists washed, patched, primed, and painted with the highest quality materials, and decorated with 23kt gold leaf, glazes, multi-color stencils, tromp l’oeil and free-hand artistry. 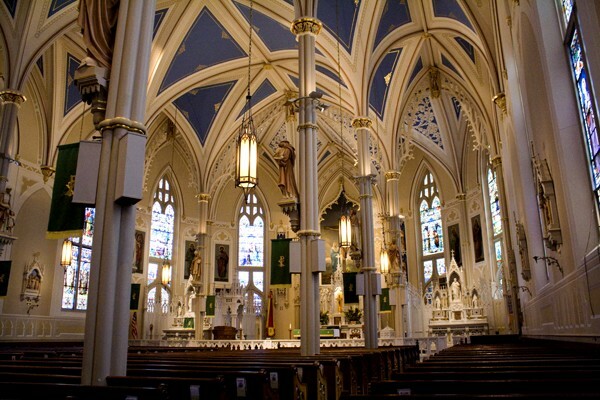 St. Mary Basilica stands stronger today, both structurally and artistically, renewed to its original grace and beauty.